United Airlines has faced some major scrutiny over the past month or so, starting with a doctor being dragged off a plane for refusing to volunteer his seat. Since then, any little controversy they have faced has become big news. As a travel writer, I wanted to give them the benefit of the doubt when flying them (in fact, I recently defended their controversial Basic Economy class when no one else would). For a very important birthday party, we decided to fly to Buffalo from Redmond, Oregon for one day only. 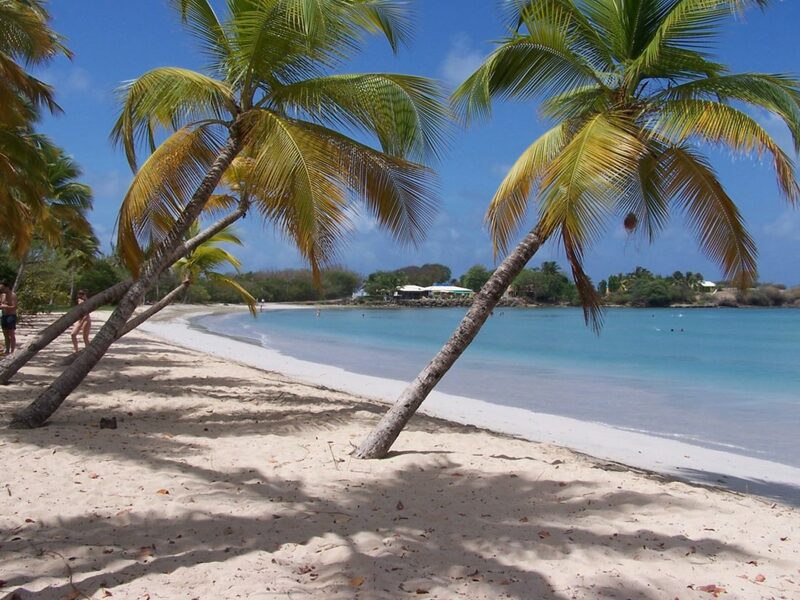 Our itinerary wasn’t going to be pleasant, but it’s what we signed up for. 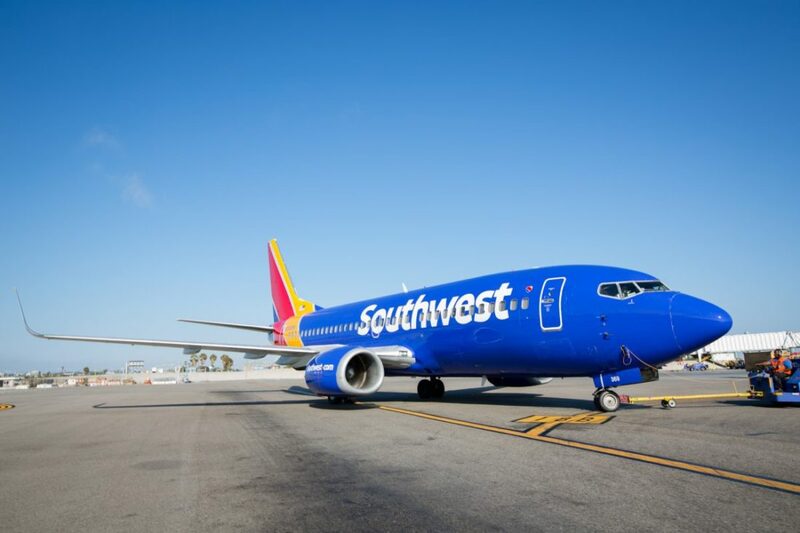 We were to fly from Redmond to San Francisco, San Francisco to Washington, D.C. (Dulles), and Dulles to Buffalo — leaving at 7:10 p.m. Friday night and arriving at 9:54 a.m. Saturday morning. 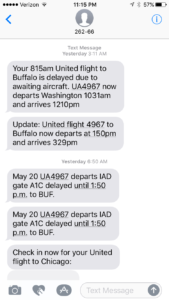 On our return, we were to fly from Buffalo to Chicago, Chicago to San Francisco, and San Francisco to Redmond, leaving at 10:45 a.m. Sunday morning and arriving at 6:39 p.m. Sunday night. 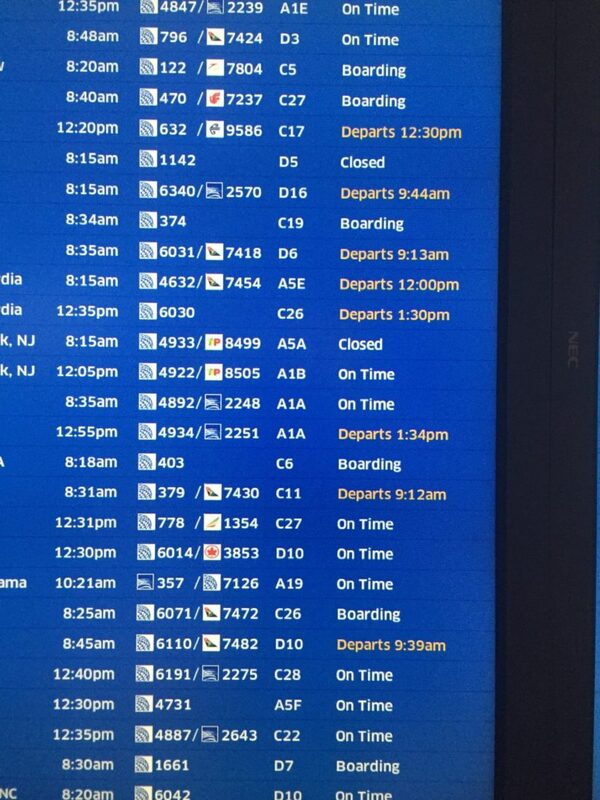 After landing in D.C. on Saturday, we were told our flight would be delayed two hours. Soon after leaving the plane, we were told that delay would actually be nearly seven hours. All the airline would tell us was that they had no plane for us. Weighing our options, we decided it was not worth it to wait the seven hours only to find out that flight had been canceled, so we drove the seven hours from Washington, D.C. to Buffalo. 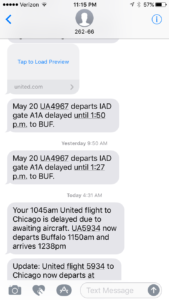 During this time, we spoke with two different customer service agents at United. Both told us there was nothing they could do, with no emotion. 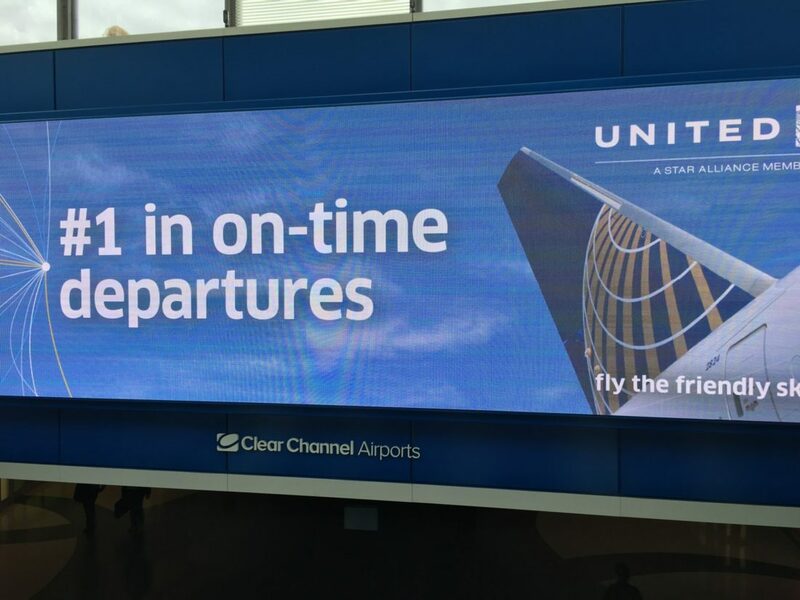 That job cannot be easy, because you are dealing with unhappy people all day, but the other staff at United really seemed pleasant and took pride in their jobs. We had one of the best flight attendants I have ever had the pleasure to meet on our flight from Redmond to SFO. That was the one upside of the entire thing. United employees don’t have it easy, but minus a few, they keep a smile on their face. Our flight home was delayed hours before it was even meant to take off. We were told our flight would take off at nearly two hours late, and then three hours late, and then we couldn’t take that flight at all. 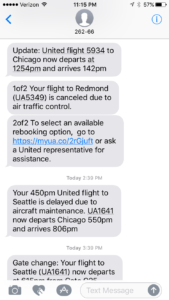 Because all flights that day were canceled from San Francisco to Redmond, we were told they would not be able to get us home. A customer service agent told us “We can get you to Seattle, you’ll have to drive from there.” Seattle is nearly six hours from home. Eventually, after flying to Chicago and Seattle, and then spending four hours sitting at the Seattle Airport, we finally took an Alaska Airlines flight home, arriving just after 1 a.m. In all, we spent 33 hours on a plane, in an airport, or in a rental car. During this time, we did some research on reviews of United Airlines and found nothing but horror stories. 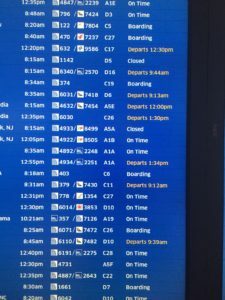 People delayed for days, flights canceled for no reason, no compensation or care given to people in a very stressful time. Which airline is most likely to offer compensation for being overbooked? Dr. David Dao’s story is significant because of how he was treated, but also because overbooking and understaffing flights is obviously normal operating procedure for United Airlines. It is not about our story, we are thankful we got home safe (even if it was on a different airline). 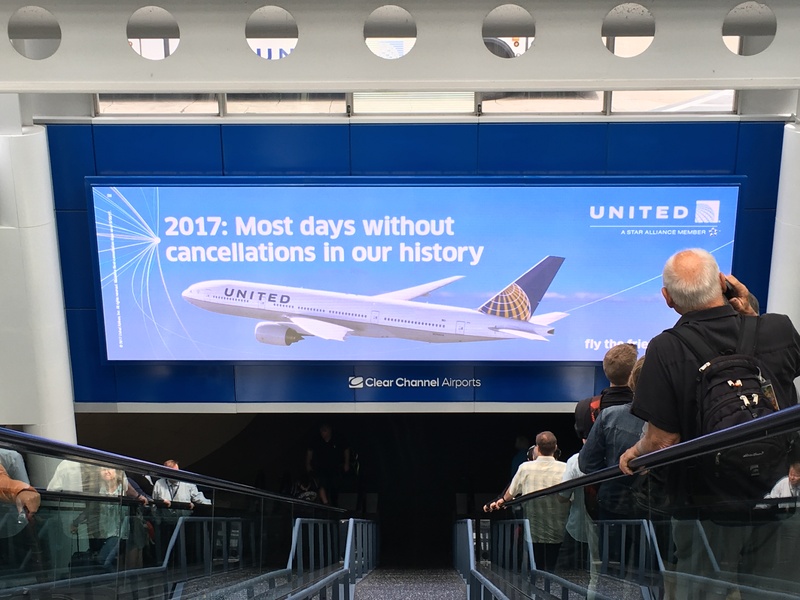 It is about United not caring that this is how they treat their customers. You can have 100 percent of your staff be pleasant and love their jobs, but if you can’t do what you promise — to get people home — then none of it matters.